Openbaar vervoer op 300 meter. 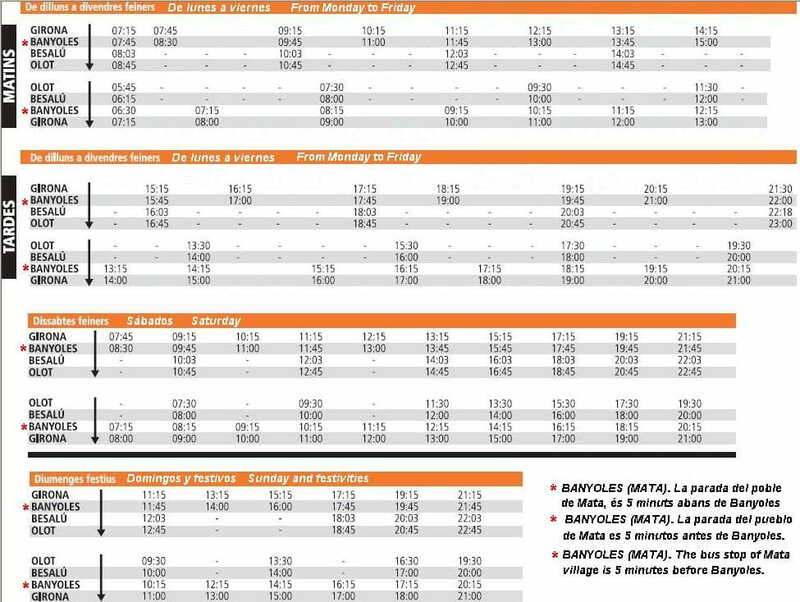 TEISA is a bus company. 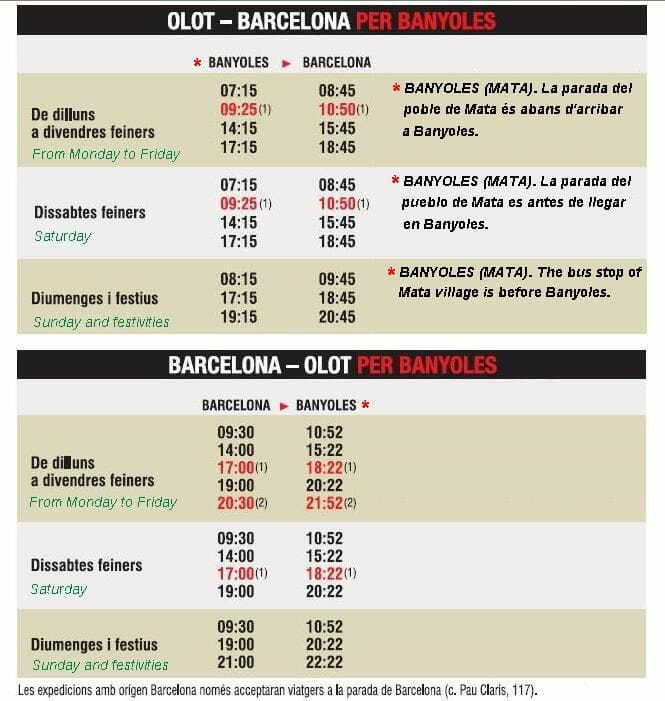 There are bus lines from Girona city to Mata village and Barcelona city to Mata village. 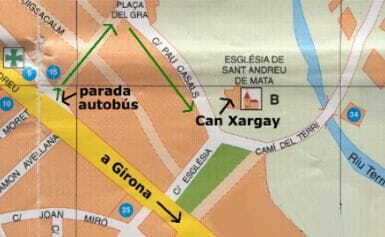 To arrive to Can Xargay, you can take the Mata's bus stop which is located 300 meters from the house.